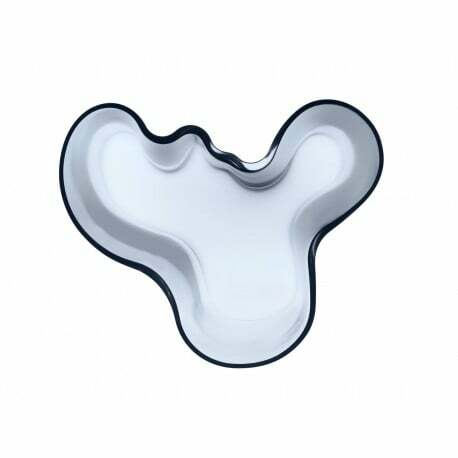 Buy Iittala Alvar Aalto Collection Vase 160 mm Rain by Alvar Aalto, 1936 - The biggest stock in Europe of Design furniture! The Aalto Vase was first seen at the 1937 World Exposition in Paris. Its flowing shape was sensational, reflecting the waves of the water it holds. In 2017 the vase was chosen as the most beloved Finnish design classic by over 10,000 votes from around the world. Every vase in the Alvar Aalto Collection is unique: an outstanding glass object mouth blown at the Iittala glass factory. Designcollectors offers several sizes and colours. This well-designed 160 mm vase in the timeless colour Rain is another elegant piece in the Alvar Aalto Collection. An iconic decoration and the perfect gift!